Performance Team Sports acquired Matty’s Sports in late 2015. The company has served clients in South Florida, throughout the USA and the Caribbean for over 30 years. We offer our clients a wealth of knowledge and experience with sports equipment, athletic uniforms, corporate apparel and a wide range of customized products. 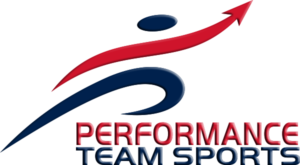 Performance Team Sports represents dozens of apparel and sports equipment companies. We are a designated Adidas and Under Armour Team Dealer and also offer products from other top companies such as Russell Athletic, Alleson Athletic, Badger Sports, Mizuno, Schutt, Wilson and more. Our sales team has years of experience working with schools, leagues and other organizations -- not only as reps, but also as game officials, coaches and participants. This gives us a unique perspective when taking care of our customers. We live it and we work it! We look forward to the opportunity to work with you soon. Contact Us for all your team apparel and gear, corporate apparel, and promotional needs.